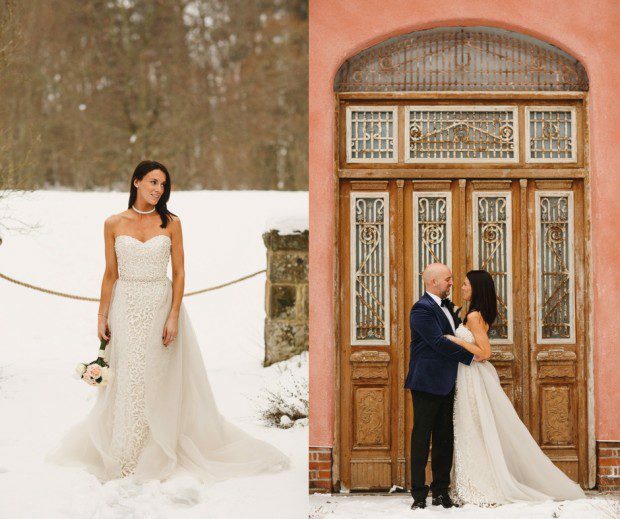 A dreamy Chateau wedding amidst the spectacular snowfall in March. 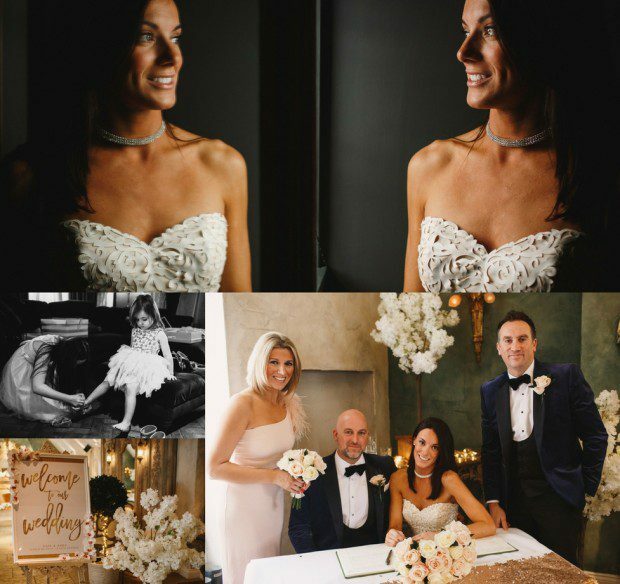 When our bride Kate sent us some photographs from her wedding day we couldn’t believe how magical their wedding was. 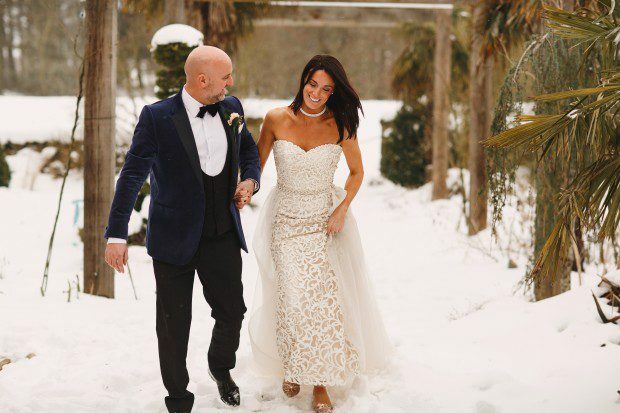 Caught in the ‘Beast from the East’ they certainly made the most of the snowfall which created the dreamiest of backdrops for their wedding at Le Petit Chateau, in Northumberland. Our wedding venue was the first venue we saw, tucked away in the beautiful county of Northumberland in a tiny village called Otterburn. Le Petit Chateau feels like a French, country manor, filled with character, jaw dropingly beautiful gardens and the best cocktail menu we’d ever seen. 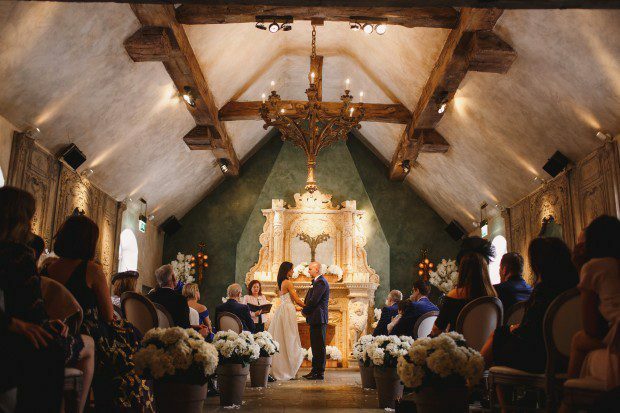 La Belle Epoque where our ceremony took place was like a beautiful, medieval chapel. Our wedding theme was white and gold with a hint of Pink! I adore glitzy things so the tablecloths were gold and sequin with metallic confetti and white petals strewn everywhere. White flowers in the form of hydrangeas were placed throughout the venue and we had white blossom trees as centre pieces on each table. 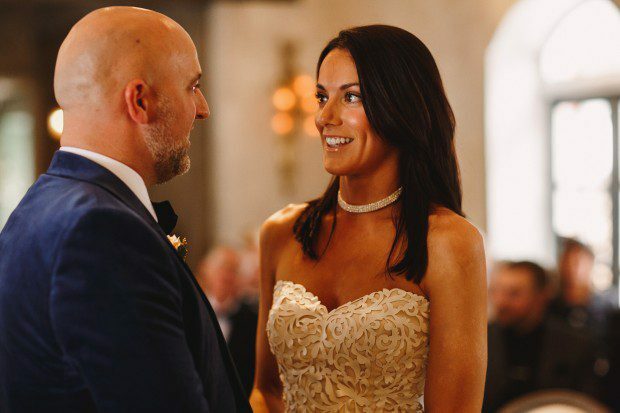 We wanted our Wedding to be fun and ‘Glamorous’ so we chose black tie for the dress code and got married at 3pm so we had more of an evening reception. An owl delivered our rings, French Martinis was our signature drink and we had dancing till the early hours with the most amazing DJ and Saxophonist. Our wedding took part in the midst of the ‘Beast from the East’. A thick blanket of snow covered Northumberland and as we said our vows snowflakes were falling outside, it really was magical. 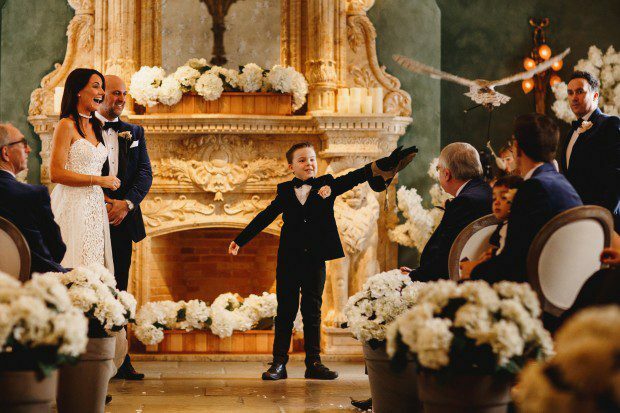 Seeing Andy’s face at the alter, with tears in his eyes when he saw me walk down the aisle with my Dad and the acoustic singer performing our favourite song in the background – I will never forget that look of happiness on his face for the rest of my life. 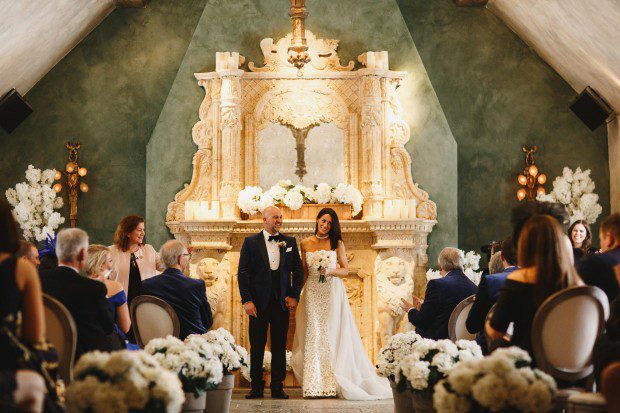 I really wanted a modern Wedding dress, something different – not a classic merengue. I wanted to wear something I’d have great time in and enjoy wearing, and possible something I would wear again! I knew before I even tried it on that this would be “THE” dress is was so different and when the curtain went back and I showed my mum and sister who had come with me they were so quiet (which is very unusual for them) and then they just both went WOW! From the very first time I stepped into the Harrogate Wedding Lounge I instantly felt relaxed. You are all so friendly, professional and knowledgable and made what is initially a daunting experience such fun. 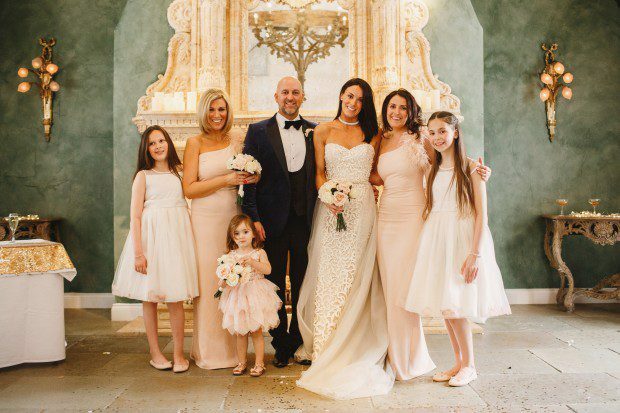 I had my final fitting two weeks before my big day and I think it hit me then that this was really happening and i was actually getting married VERY soon, I became really emotional and the staff were so friendly and reassuring and so lovely to me, on hand with tissues and cups of tea – what an unbelievable team! Nothing was too much trouble. The seamstresses were fantastic and so professional and easy to talk to, they came up with some fantastic ideas in order to tweak the dress so it matched the vision in my head perfectly! My dress fitted so well and value for money wise they were exceptional. Don’t be daunted, relax, this is the fun part of the whole wedding organising so take your time with it and don’t rush your decision. Take someone with you that you really respect the opinion of and most of all enjoy it!